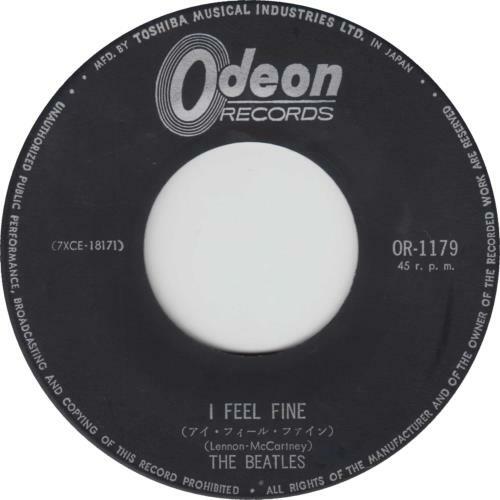 THE BEATLES I Feel Fine (1965 Japanese first issue 7" vinyl single on the black & silver Odeon label with 'MFD. BY TOSHIBA MUSICAL INDUSTRIES LTD. 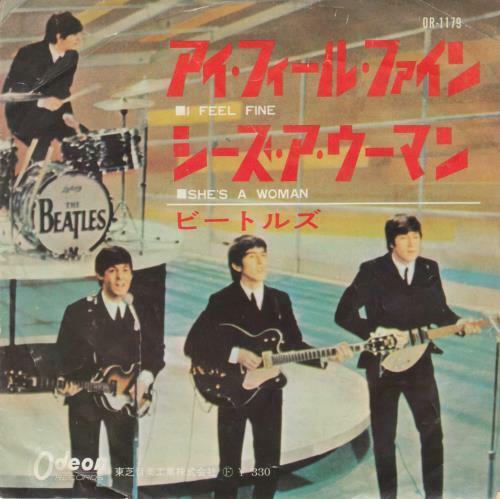 IN JAPAN' top perimeter text, also including She's A Woman, with a unique wraparound picture insert with 'F' & '�330' price point on the front and lyrics inside. The insert displays some minor general wear and the vinyl has a few surface scuffs, overall very good and an ideal play copy OR-1179).